GREAT Women Tapestry exhibit at the Makati Shangri-La. Makati Shangri-La holds specific memories to me. I remember how in the mid-‘80s, when I was still painting actively, the hotel was expanding its Philippine footprint in Mactan and Boracay. The hotel purchased a number of my paintings, and two large paintings were commissioned by its foreign interior designers. Fast forward to today. When Makati Shangri-La called for a meeting to discuss possible ideas for March to celebrate Women’s Month, I went to meet them. Since last year, I had been thinking of what to do this March for GREAT Women. The hotel’s call was the answer: a perfect institutional hotel partner for activities to “celebrate the GREAT in women.” Aside from the hotel’s spirit of understated elegance, and the stand for sustainability, it was out to champion women, artisan crafts and anything proudly Filipino. Suddenly, “responsible luxury” was a natural shared value. At the center of what GREAT Women brand platform is inclusive business. The platform draws in small women producers to have active business participation and access to niche, specialty, global markets. Or would never have a chance to get there without the platform trying to close the gaps of the supply chains. So literally at the center of the hotel’s circular lobby is an exhibit installation of handwoven textiles — paralleling traditional ones with new innovations that the communities have come up with. This circular showcase is at the heart of it all. In it I see the circular economy symbolized by this installation at the hotel’s lobby. The showcase supports the attempt of revitalizing traditional textiles while keeping our living culture sustainable from a livelihood perspective. GREAT Women collaborated with designer Kitty Bunag with this simple but elegant installation. We agreed on a spiral form. As visitors move from outside to see the new innovations of the textiles and come to the center, this center space should have brought visitors to a space of inspired awe at looking at the textiles closely. I challenged Kitty to create a meditative walk and she so successfully visualized the concept. All of March at the Lobby Lounge, there is afternoon tea being served using ingredients from micro-women producers whose products are sold at ECHOstore. When Makati Shangri-La executive chef Nicola Canuti and team went to the store, they were so excited to try all the different community produce and now, these are served leveled-up with the help of the chefs! By end of the month, hotel guests will also see an ECHOstore pop-up corner with all the bottled and packed food products from women food producers. Our green inclusive business brand that started our journey of social entrepreneurship likewise celebrates women, being one of the Top 50 women-led enterprises in the APEC and ASEAN region. The highlight of all these “value-adding, leveling-up” is a professional fashion show, a GREAT Women first! This inaugural collection highlights Panay region’s patadyong and hablon fabrics from weaving groups we have been working with in the past two years. And the beauty of this collaboration is there is no one designer highlighted but a professional team of fashion-retail-design personalities who have quietly worked together behind the scenes. 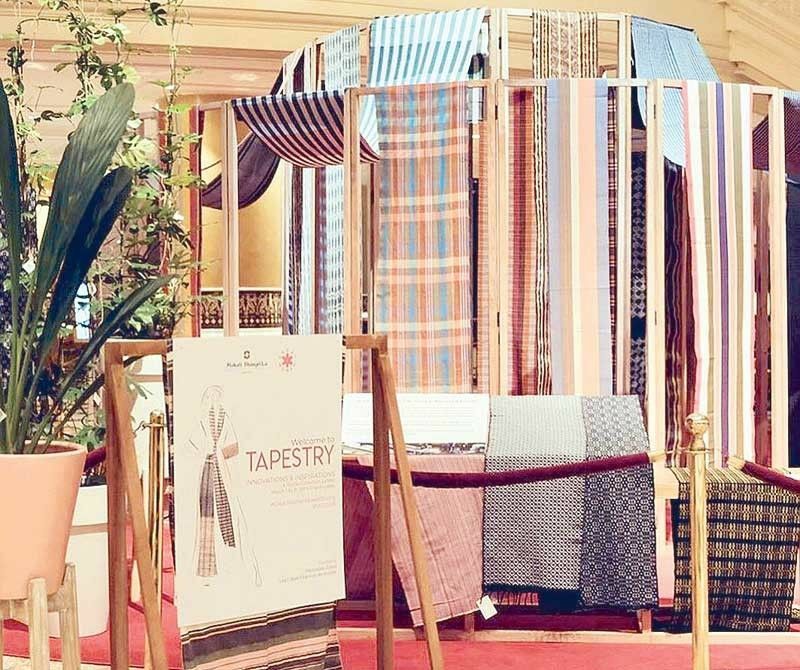 It took us two years to complete the textile supply chain into a remarkable highlight of this event come March 30 at the hotel’s Lobby Lounge. Everyone supporting our women advocacy cause has been so generous. 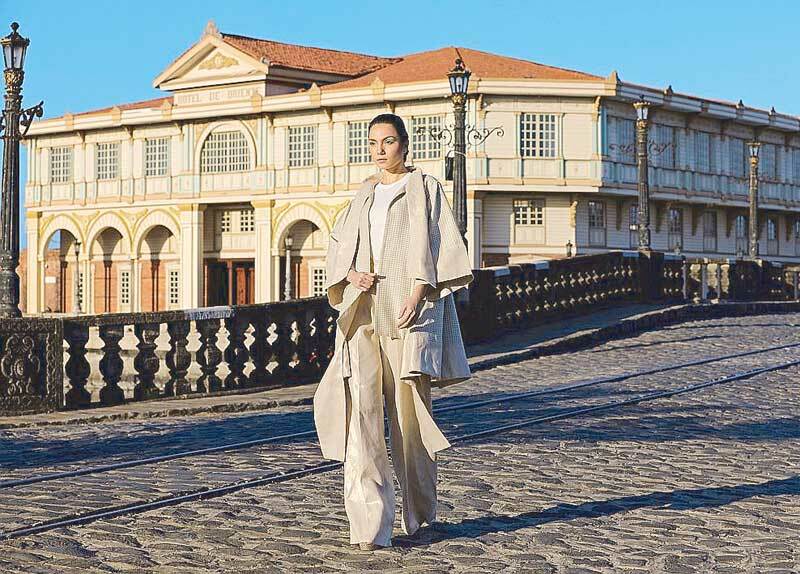 My friend Mercedes Zobel offered to foot the photography bill and Las Casas Filipinas de Acuzar sponsored the stay of the production crew. We are doubly excited because through this fashion show, we are helping bring back the hotel’s unique highlight, of having been a center for fashion shows in the past. Other designers and brands collaborating with GREAT Women platform will also have a special three-day lifestyle trunk show sale from March 29 to 31 at the hotel’s Makati B function room. Meanwhile, Olivia Limpe-Aw of Destileria Limtuaco came forward to create a GREAT Women cocktail for the hotel’s Sage Bar. I believe the brand has become a natural magnet to give meaning to the month of March. This Women’s Month, I am empowered and happy, because, really, it becomes a celebration of collaborations. Perhaps this is what is so great about it — the happy energies with no egos around, people honestly wanting to help make this a success, two brands of Makati Shangri-La and GREAT Women standing together with shared values with all of us mindful that in the end, it’s really not about us but the small women weavers and producers we give a hand up to.